The persisting conflict in southern Thailand is centered on three southern provinces of Pattani, Yala and Narathiwat near the Malaysia boarder and several districts in Songkhla Province – the region commonly referred to as the Deep South. Nearly 75–80% of the 2 million population are Muslims, or more specifically Malay Muslims who speak the Malay language and adhere to their unique Pattani-Malay identity. The area has been a battle zone amid resurgent violence between the militant Muslims and the Thai government since 2004, with sporadic bombing and striking that killed more than 5600 victims over the decade. From the 14th to the 19th century, Thai Deep South was historically a region reigned by the Malay Islamic sultanate, the Pattani Kingdom. As junction port for the east-west trade of the Malay Peninsula, Pattani Kingdom produced many Muslim scholars (ulama) and prospered to become the center of Islamic education and learning in Southeast Asia. However, sovereignty by modern Thailand gradually started taking shape in the 19th century, and the national border – in the modern context – between British Malaya was drawn by the signing of the Anglo-Siamese Treaty of 1909 between Great Britain and Thailand. Through forced assimilation, the Thai government disciplined the Malay culture and religion and threatened the Pattani identity in this region, which lead to the outbreak of numerous violent resistances, the most famous being the series of incidents with Hajji Sulong in 1947. 1 Factors such as the heightening of Malay nationalism unleashed by Malaysia’s independence in 1957 and Bangkok’s policy encouraging many Buddhists to migrate to the southern provinces triggered the formation of many militias. Armed organizations and fronts including the Barisan Nasional Pember-Basan Pattani (BNPP), the Barisan Revolusi Nasional (BRN), and the Patani United Liberation Organization (PULO) came into action and generated a full-fledged separatist movement. Yet, after the 1980s, Thai central government’s various conciliatory approaches proved effective. In particular, the granting of the police and local administrative power over the Deep South to the 4th Army Area Commander of the Royal Thai Army and the establishment of the Southern Border Provinces Administrative Center (SBPAC) to allow flexible enforcement of the policies put a dent in the separatist movement. The SBPAC contributed in developing the infrastructure, hiring Pattani-Malay civil workers and implementing the so-called “surrender for amnesty” operation, 2 in consequence, reducing violence and recovering order to a certain extent. Although the basic principle of assimilation was maintained, educating people with multiculturalism and the use of the Thai language through public education and TV media were also helpful in reducing anti-government bias. When Thaksin Shinawatra took control over the government in 2001, he abolished SBPAC and other systems that kept the separatist movement slow, and handed over the army’s security enforcement of the Deep South to the police. These administrative actions stirred the smoldering balance of the region and reignited the reactions against the Thai security force, especially after 2004. Thai government’s anti-terrorism legislation after the 9.11 Attacks, groundless suspicions towards the Pattani people of possible links with Islamic extremists and terrorist groups, and the notorious “War on Drugs” campaign launched in 2003 that lead to execution of almost 2,500 people worsened the situation. The attack of the army camp in January 2004 and the abduction of lawyer Mr. Somchai who was defending the case (allegedly killed by the police), the two shocking incidents at the Krue Se Mosque 3and Takbai 4symbolized the deteriorating conditions of law and order in Thai Deep South. The conflict is allegedly between the Thai security force and the separatist militant groups, but the armed groups not only targeted the Thai security force and Buddhists, but also Muslims teachers in public schools and Muslims working in governmental offices. 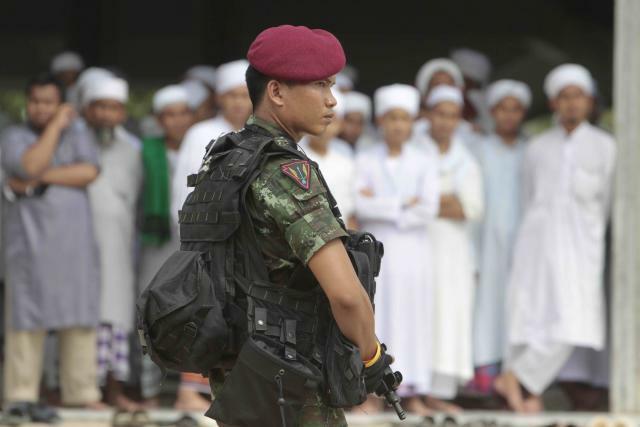 Muslims who are accomplice of Thailand are deemed traitors and become targets of insurgency. There are also indiscriminate bombings that victimize ordinary citizens. While some of these violent attacks and bombing are actually conducted by the armed separatists, some are staged by the Thai security force. There are also many drug-related crimes, most of them unclaimed acts of terrorism, and the ambiguity makes it even more difficult to resolve the conflict. At the root of the Thai Deep South conflict, there lies the desire of the Pattani-Malay people to maintain their unique cultural and linguistic identities and to live autonomously. In other words, the demands of the Deep South are in tandem with the drastic administrative reform and decentralization movements in Thailand. Bargaining of budgets for the Thai security force, and patronage in illegal business such as drugs and human trafficking are major obstacles to restoration of civil order. The prolonged conflict is causing local militarization and the number of regular and paramilitary security force is reaching into tens of thousands. 5 The Deep South is also missing out on the benefits of the government’s development policy. It lacks noteworthy industry, so the many of the youth population are jobless even if they graduated from university. Such economic disparities between Bangkok are undeniably causing young Malay Muslims to abet in violence. Even after the fall of the Thaksin administration in 2006 and despite the apology by Prime Minister and the reinstitution of SBPAC, security situation in the Deep has not improved. There have been attempts of peace negotiations through several channels, but neither had yielded fruit so far. For one thing, the actual conditions of the armed groups nor their precise demands had been unclear. Also, the Thailand government was busy tackling its own internal issues and had not be too enthusiastic in seeking political settlement. However, on February 28, 2013, however, a sudden announcement was made that Prime Minister Yingluck Shinawatra will, under the mediation of Malay Prime Minister Najib Razak, initiate a “dialogue” towards peace with BRN, which is one of the armed groups active in Thai Deep South. Unfortunately, the peace dialogues scheduled monthly since March had not produced any concrete results. Moreover, political turmoil within the Thailand central government has been suspending the dialog itself. 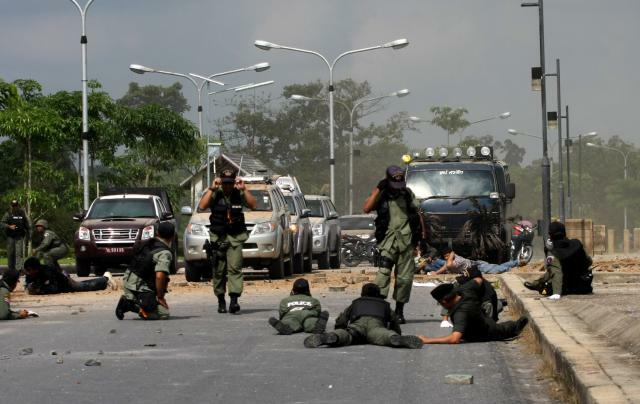 Resolution of insurgency in the Thai Deep South is not yet on the horizon.